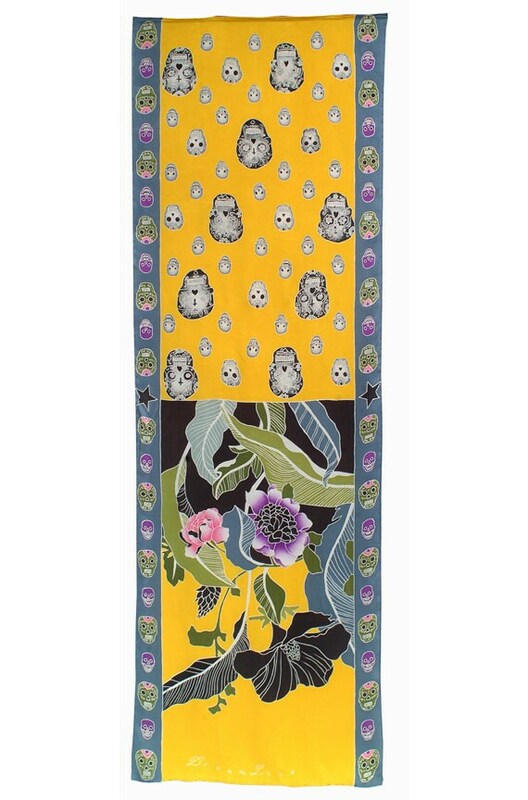 This luxurious hand painted silk scarf is a work of art designed and painted by the artist with wild jungle flowers on one end and Day of the dead, Dia de los Muertos skulls. Its a large long scarf with a beautiful yellow background. It is designed with two images so you can achieve different color compositions depending on the way you wear and wrap it.